Singaporeans woke up this morning to find out that we will be getting our very own Apple store come November. Located in the heart of Orchard Road in Knightsbridge Mall (far better known as the Abercrombie & Fitch mall), the news came as an update of progress from last November’s confirmation of the store published by CNET. In fact, even earlier in October 2015, The Straits Times had unveiled that there was an Apple store impending with the moving out of former tenant Pure Fitness Gym, “as part of a reorganisation plan for the site” – a rather diplomatic way of explaining the takeover of space. Albeit Singaporeans being massive Apple fans, and the nation being one of the first few to receive new products, the addition is actually the first physical retail store Apple has in Singapore. Apple products are currently only available to Singapore dwellers from authorised resellers (Nübox , EpiCenter) and Apple’s online store. With Apple CEO Tim Cook just announcing that it had just sold the 1 billionth iPhone, I think it’s safe to say that the new store will only help drive the sales of Apple products even more. Apple news site 9to5Mac revealed several photos of the progress sent to them by one of their readers – one of which was of an information board at the site, which revealed the expected date of completion as 31 October. The store is also slated to be the first in Singapore to run entirely on solar energy, and is part of Apple’s collaboration with Singapore solar energy provider Sunseap, which manages solar installations on more than 800 local buildings. What’s so special about an Apple retail store as compared to resellers, one might ask. A whole lot, if reports from international outlets are right. A recent unveiling of the future plans for a flagship store in San Francisco “includes 42-foot sliding glass doors that double as two-storey windows, a 6K video screen on the second floor, […] a backyard “forum” that will be open 24 hours a day, featuring a 50-foot green wall, free Wi-Fi, and 47-year-old restored fountain”. The design of the Apple’s Singapore store is yet to be known, but I’m quite excited to see if any local elements would be incorporated. 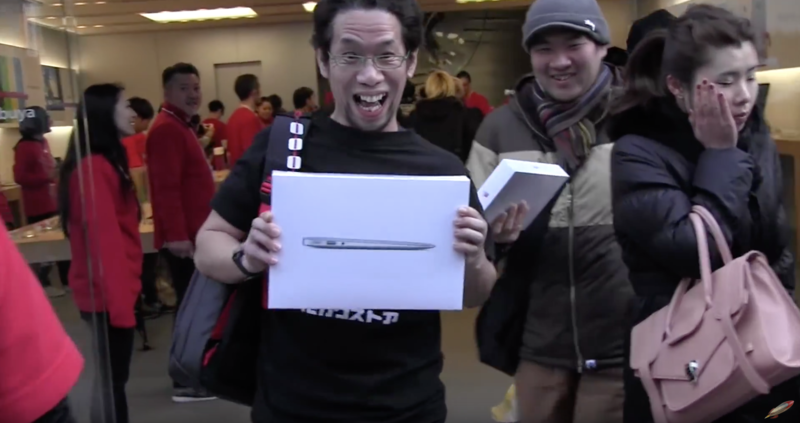 Following the thread of “being part of the community”, an Apple store in Japan participated in the Japanese New Year’s Fukubukuro (“lucky bag”) tradition, giving out bags containing random Apple products for a highly discounted price (36,000 yen, around S$463). According to the report, a customer had actually received a massive haul of “an 11-inch 128GB Macbook Air, a Magic Mouse, a pair of JayBird BlueBuds X wireless earphones, a Morphie juice pack powerstation mini portable battery, a Twelve South PlugBug World travel plug adaptor, a Beats by Dre Pill Speaker Gold Edition, a Power Support Air Jacket sleeve for the Macbook Air, and an Apple t-shirt”. A lucky bag indeed, given that its estimated value was 176,840 yen, around S$2275. 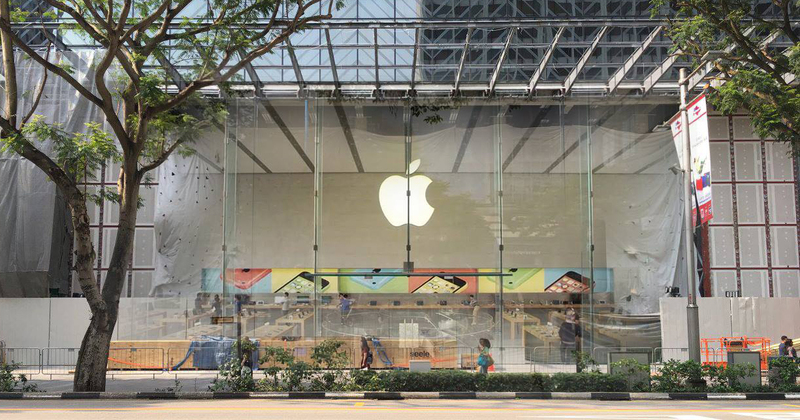 Who knows what goodies Singapore’s Apple store will bring? Mad GSS sales? Red and green packets with tokens during Chinese New Year and Hari Raya? Apple x Hello Kitty plush toys? Employees have also been taught “not to sell, but rather to help customers solve problems.” What that could mean is that we’ll have exceptional service at the store, which is usually lacking in local retail. All these are simply predictions with regard to other countries, but I think that following Apple’s strict dedication to consistency, the new store would not disappoint. Those interested to work in the new store can look through the current 14 listings here. Don’t say bojio.